Allow me to get on a soapbox for a moment. We just got an unsolicited email from a Chinese “leather” belt manufacturer offering to make our products for us. In it, they attached a price sheet. This blows my mind. What most people think they see as a nice leather belt at the store literally costs about 75 cents. And that includes a profit margin for the manufacturer! Who knows how much it gets sold for in the US, but I’d guess it probably gets sold in a store for no less than $10, and likely in the $20-$30 range.That’s a lot of profit for the merchants and traders, and not a lot for the manufacturer. And of course, 75 cents doesn’t cover the actual costs this belt has, to the environment, and to the people who were hardly paid to make it. It’s hard for customers to know everything about everything, and cheap production takes advantage of this. There are a lot of different materials in each product, and you can’t be an expert on all of them. It just looks nicely put together at a glance in one clean veneer. But if it seems too good to be true, it probably is. 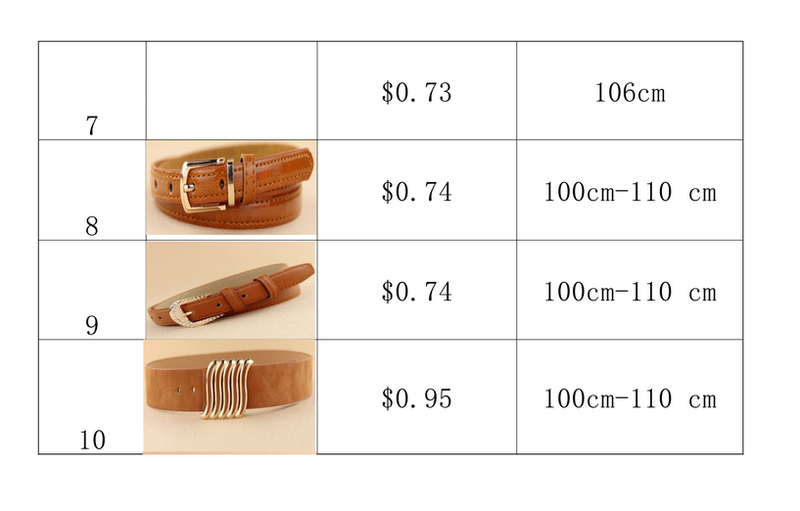 A $10 belt is not actually a $10 value. If you don’t trust the brand or the store you’re buying it from, then please don’t give them your business. Every day, every dollar you spend is a vote. You can vote for these belts and vote for a system that has you giving $9 to traders and less than a $1 to the makers. Or you can vote for any of the many new models that help our economy and help others, that are symbolized by movements like Etsy, Fair Trade, and Made in USA, just by taking a close look at the packaging. Our high-quality vegetable-tanned leather costs more in just raw material – at wholesale prices – than those finished belts from China cost. We take responsibility for our products and our employees by paying fair, living wages. This is the challenge we have in competing with other companies that get their products made overseas. It may photograph fine, and to the untrained eye look okay in the store, but it won’t hold up like our personal attention, sense of responsibility, and use of quality materials will, and our employees will be happy doing it. The email from the Chinese manufacturer asked me to please pass on this information to others that might be interested if we were not. Well, here you go.